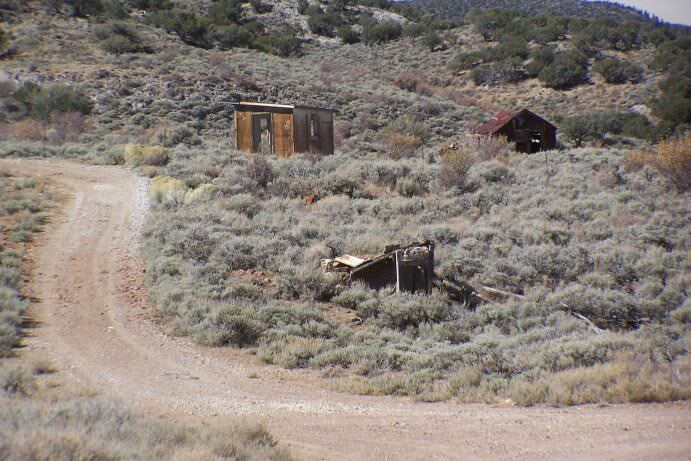 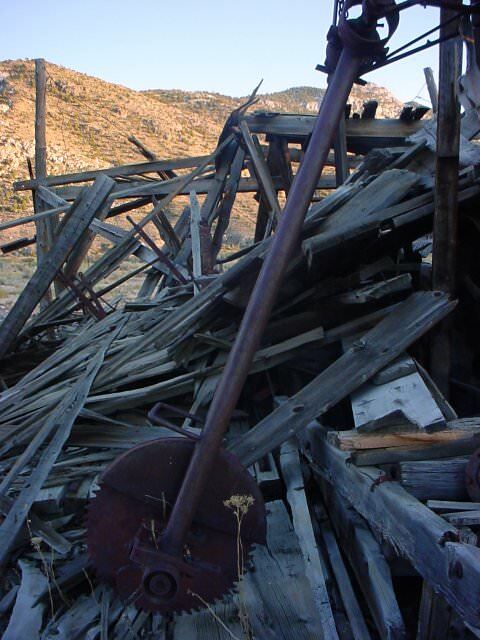 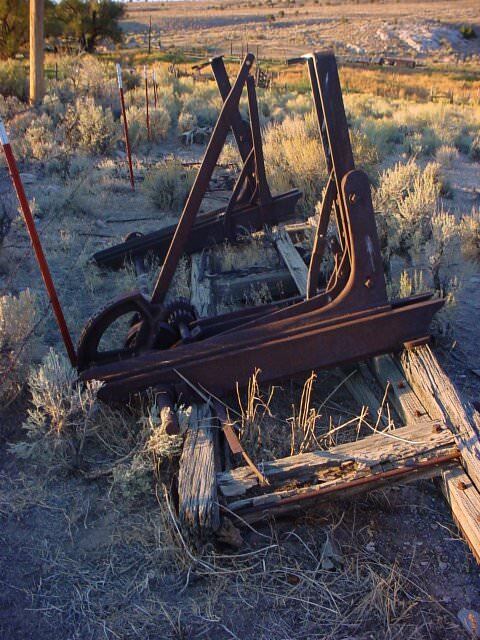 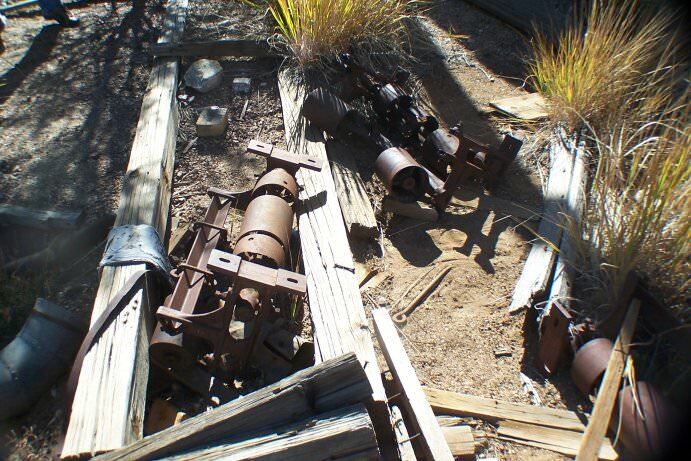 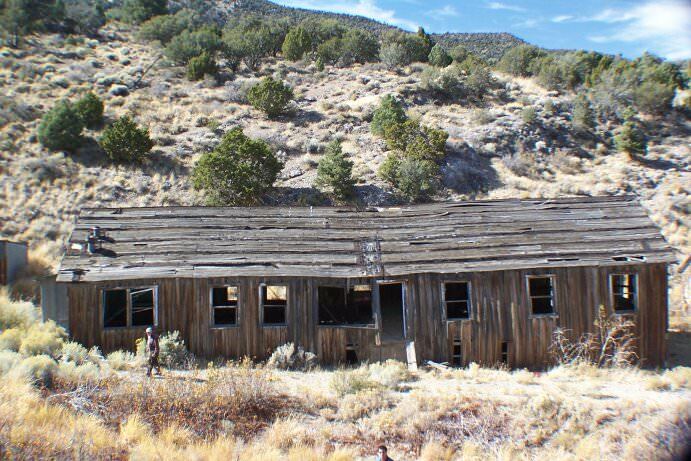 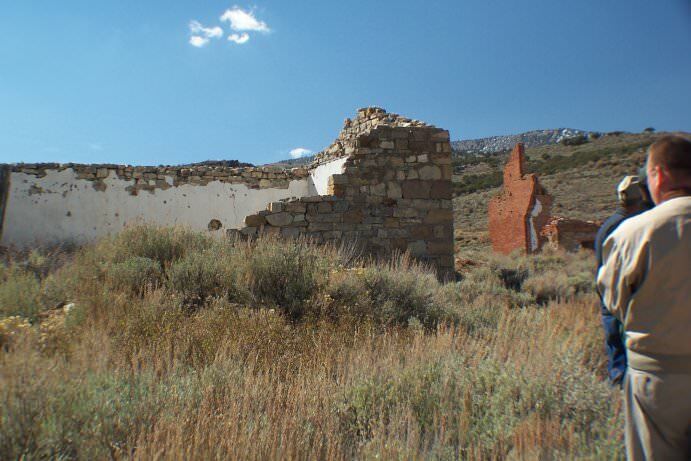 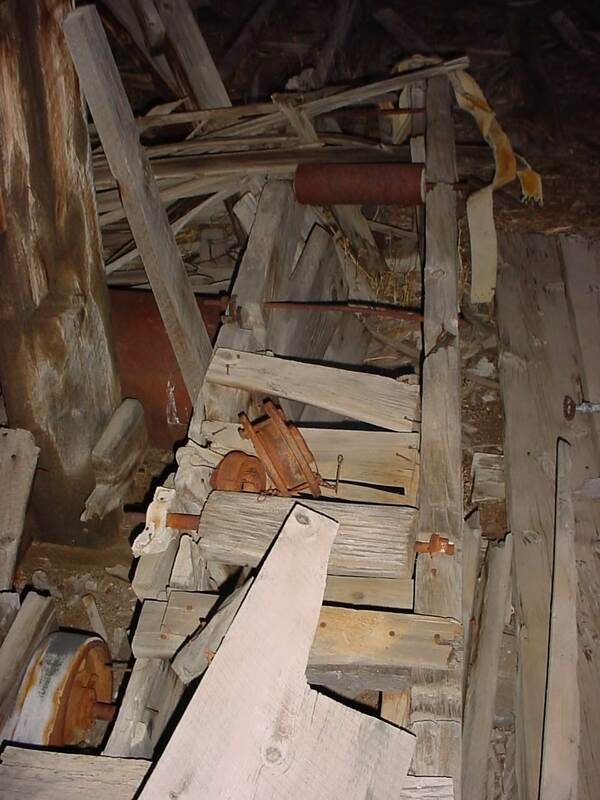 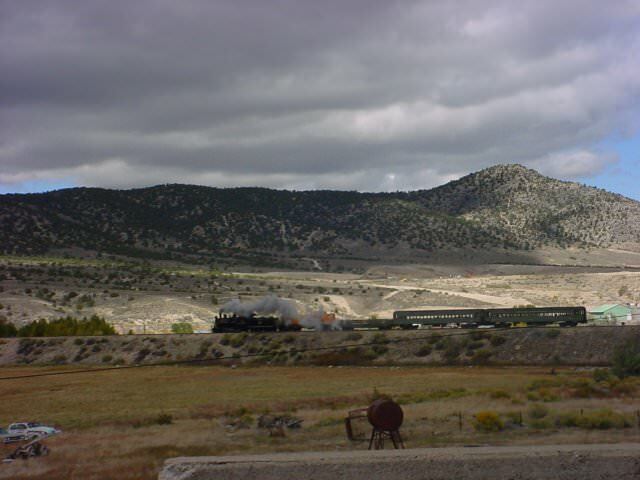 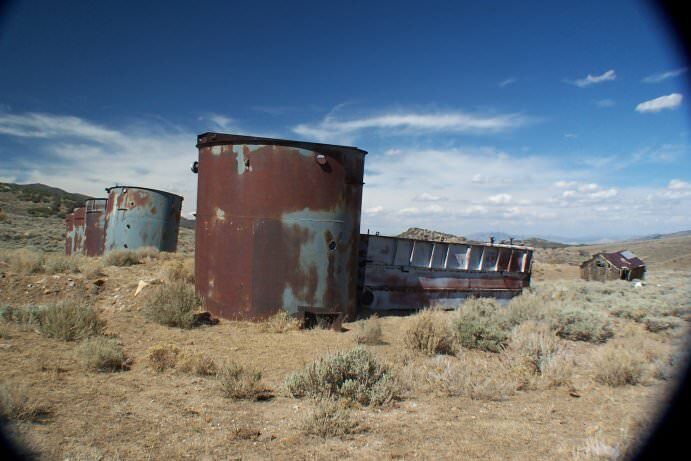 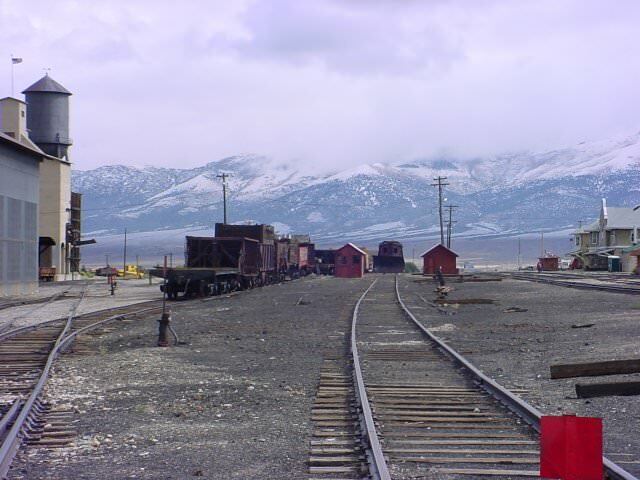 One of the more fascinating areas at the Nevada Northern Railway was the Repair In Place (RIP) yard. 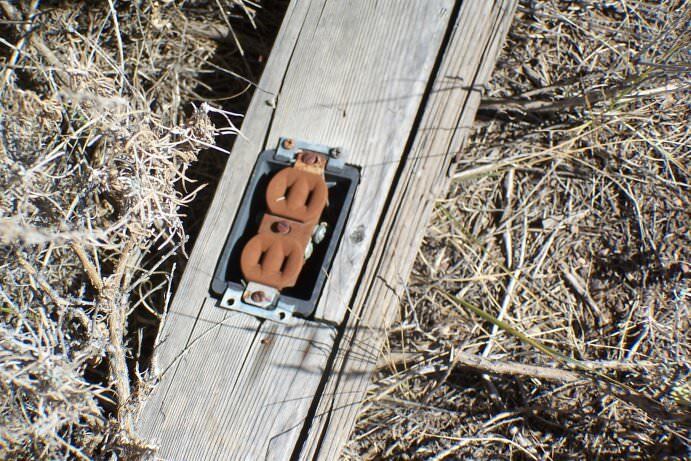 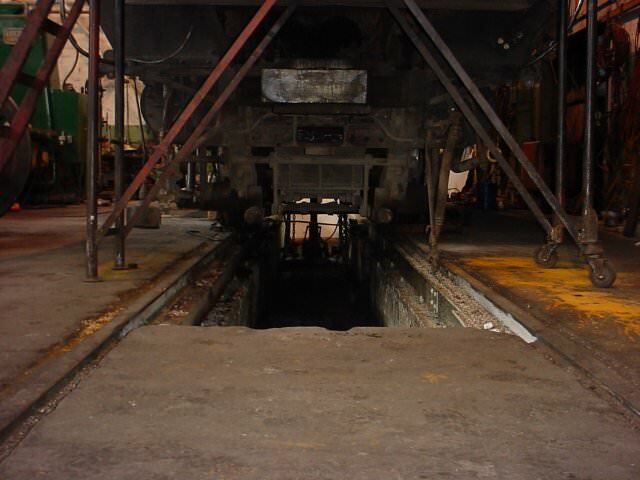 Here, cars could be repaired while sitting on the tracks. 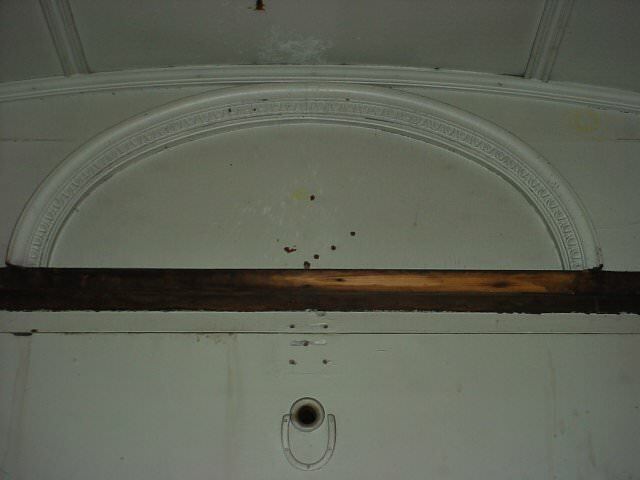 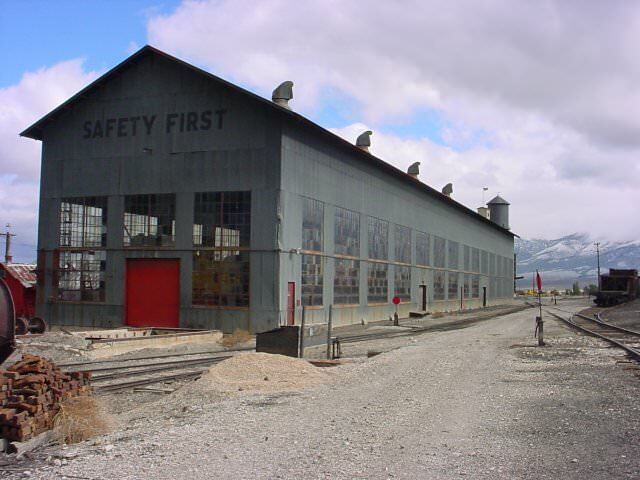 There was a long warehouse structure over the tracks that served as a shelter while repairs were being made. 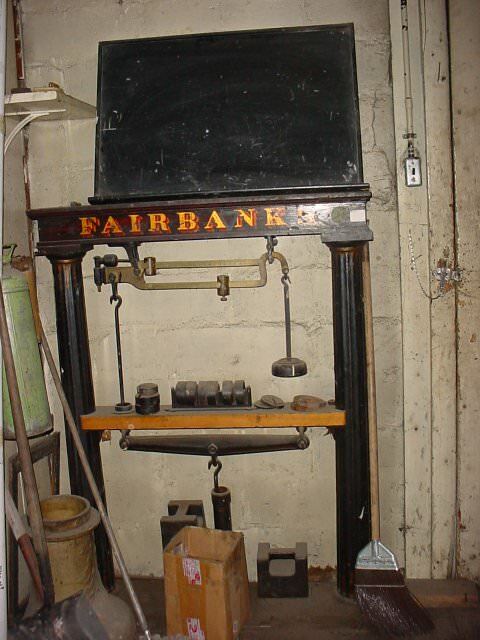 We were given a tour of this shop, and though the lighting was not great, I took quite a few photographs of the place. 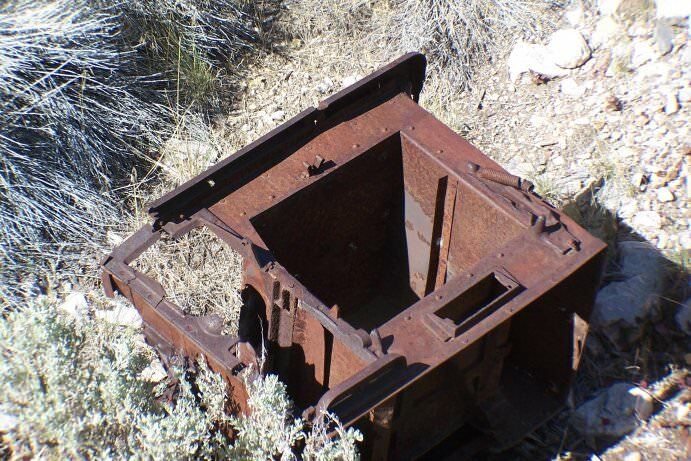 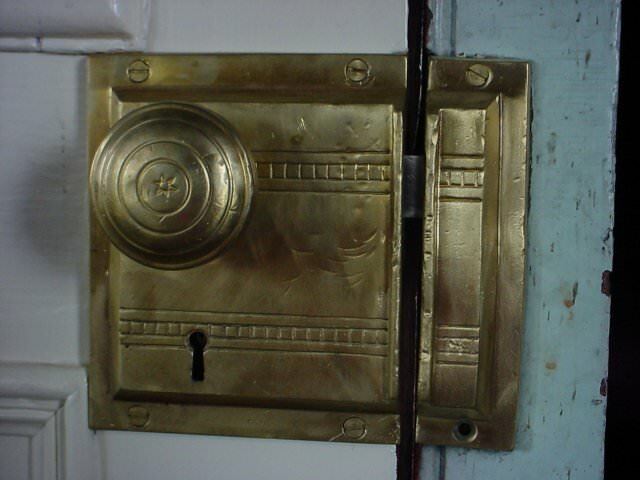 There were some journal boxes to see as well. 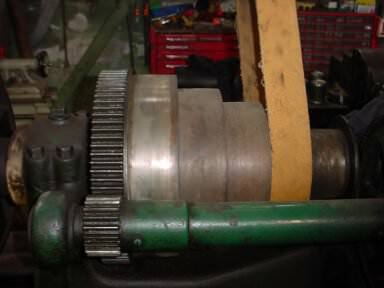 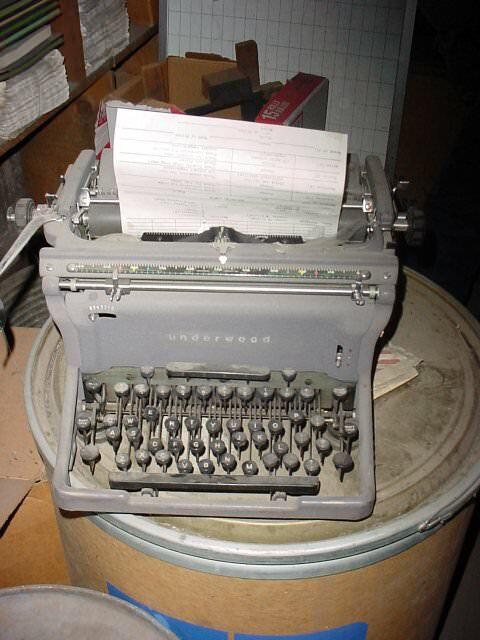 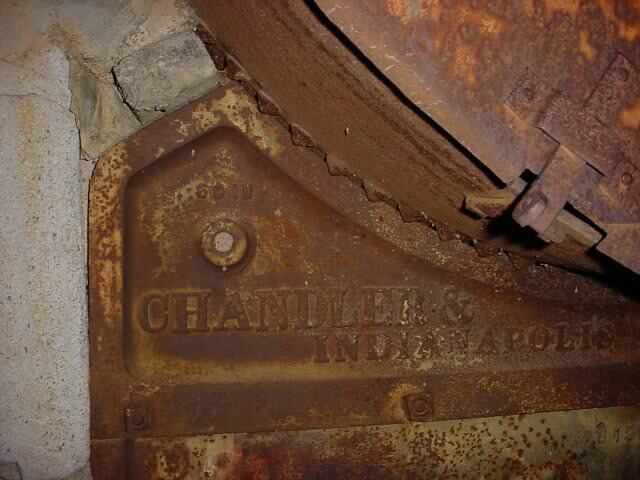 Journal boxes lead directly to the wheel bearings. 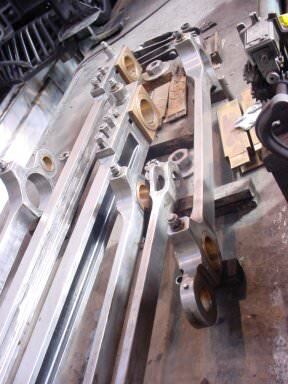 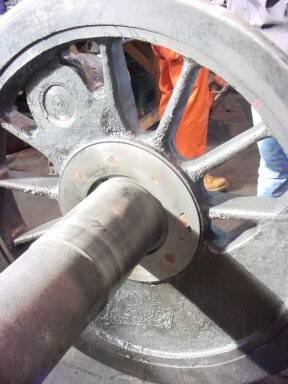 A waxy grease is placed in these boxes, and that keeps the bearings lubricated. 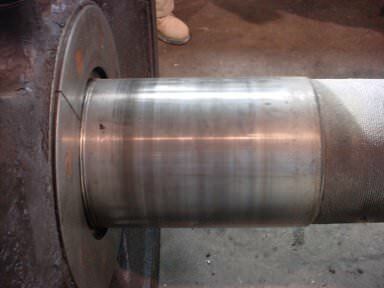 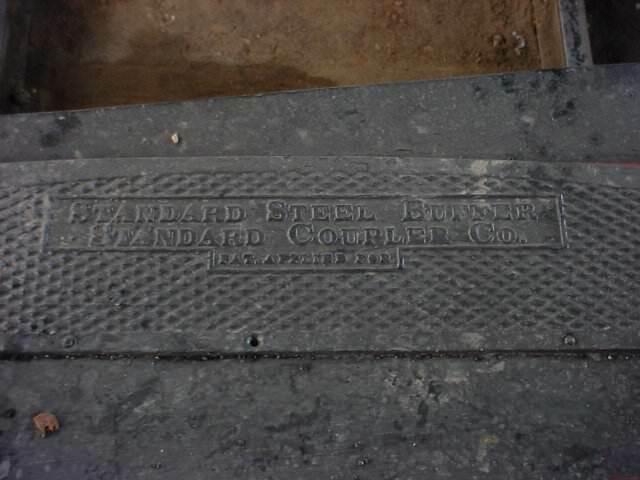 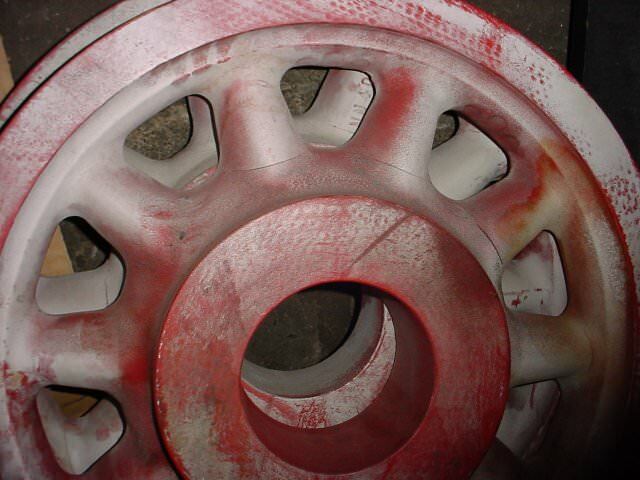 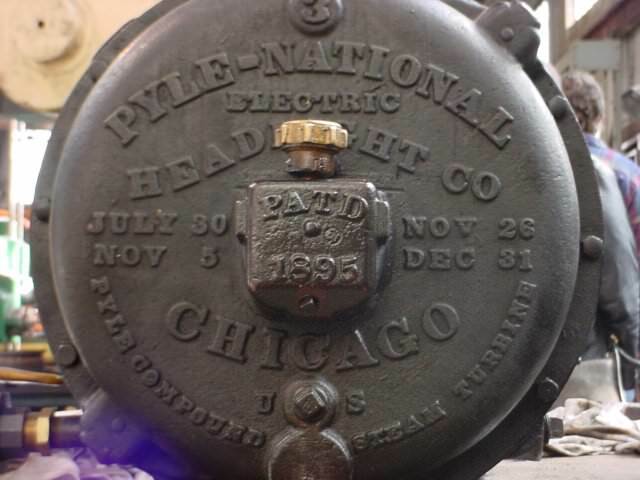 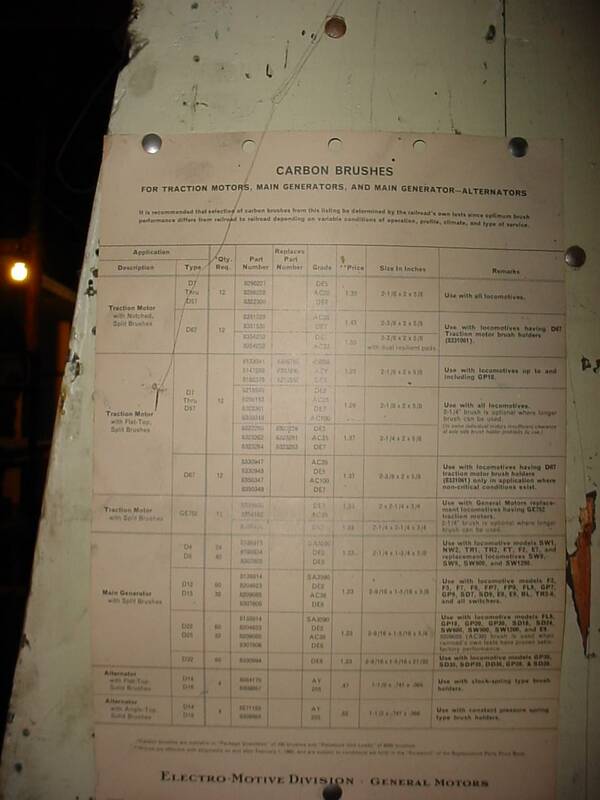 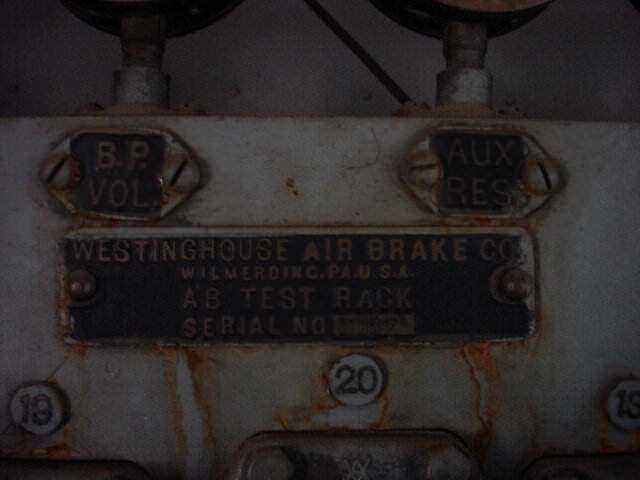 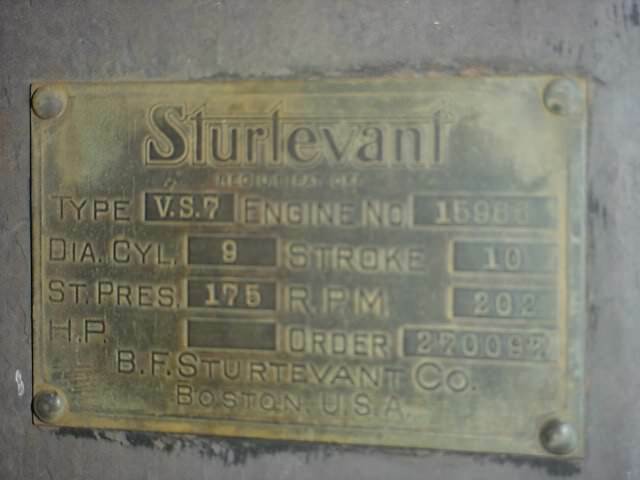 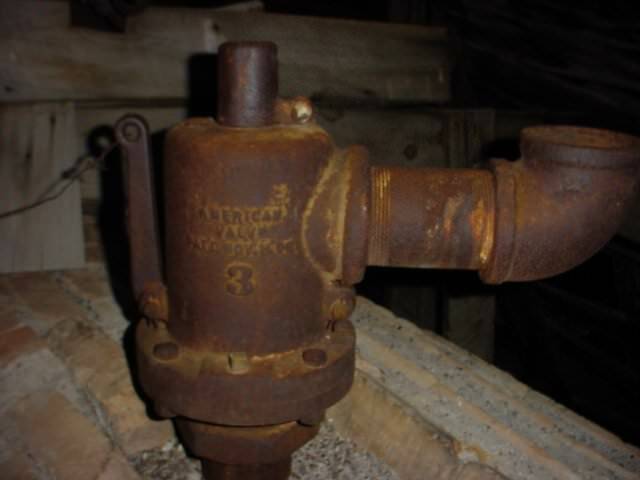 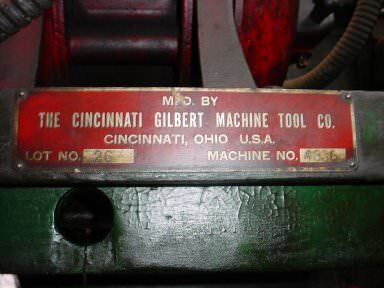 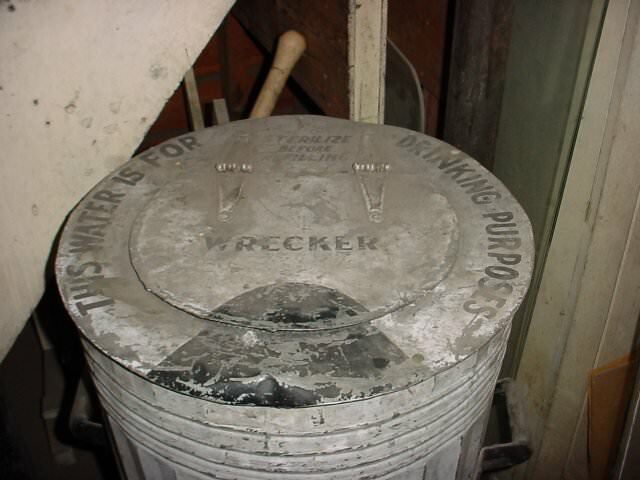 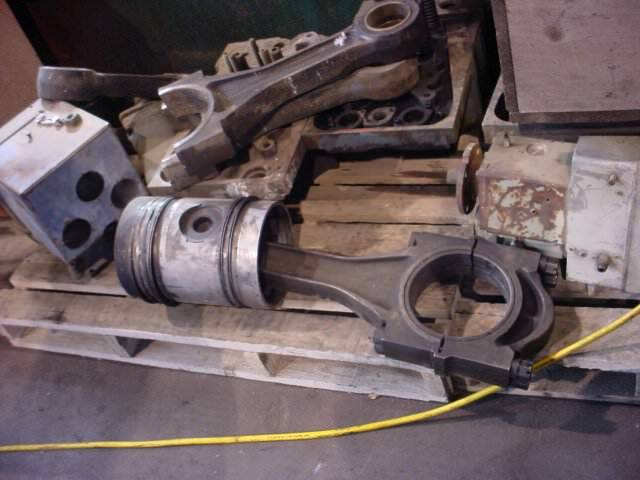 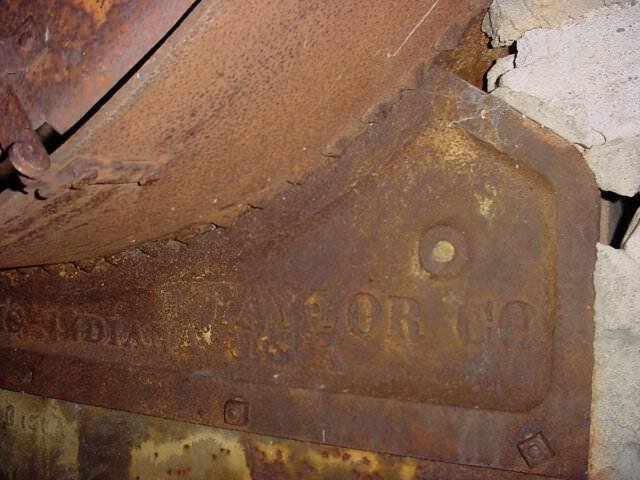 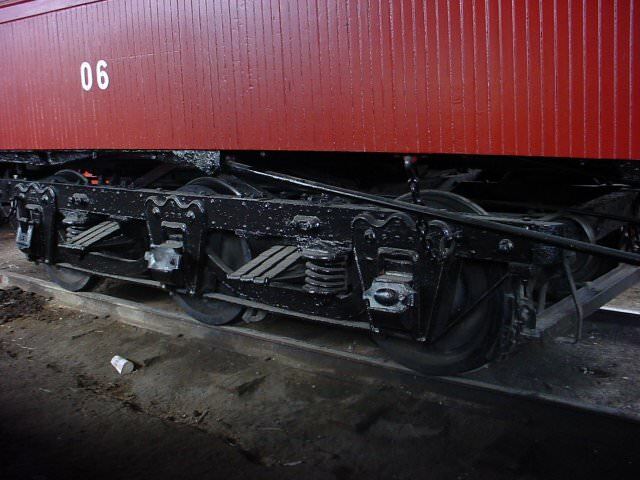 Occasionally, however, the grease would catch on fire, and these were replaced with more modern bearing sets. 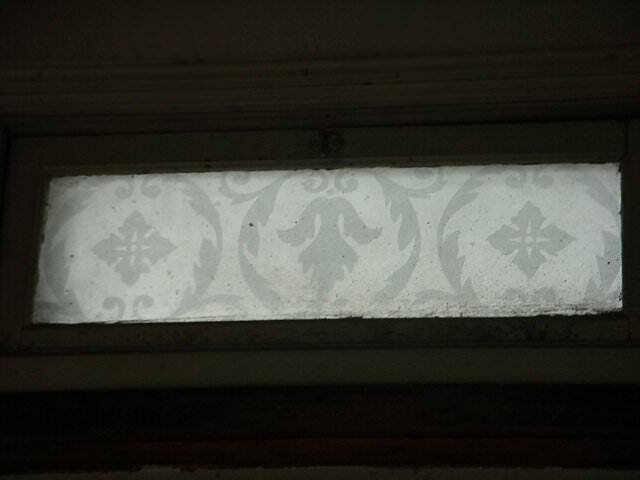 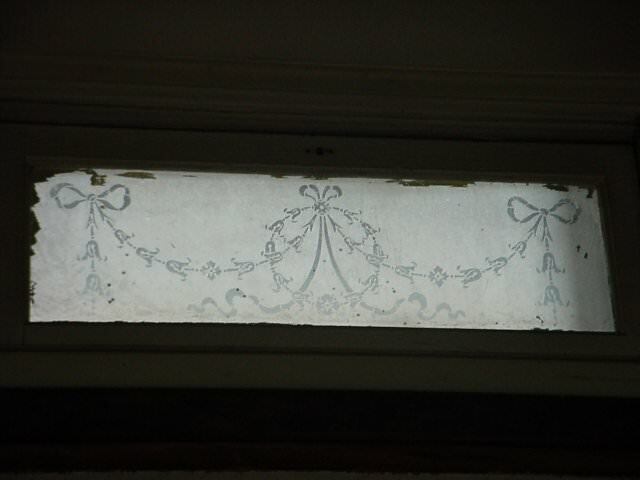 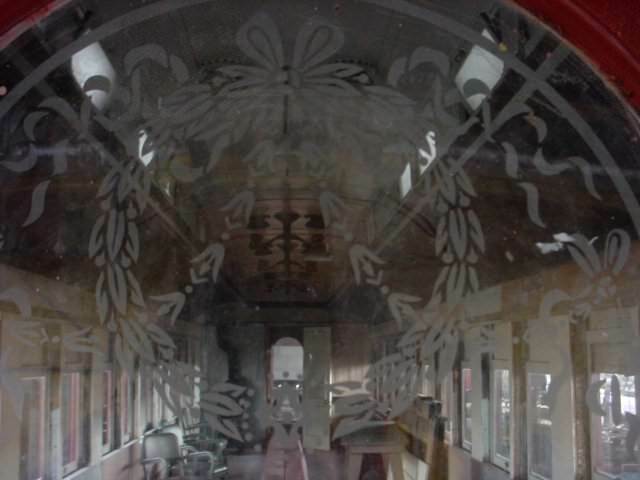 One thing that really struck me was how ornate the passenger cars were decorated. 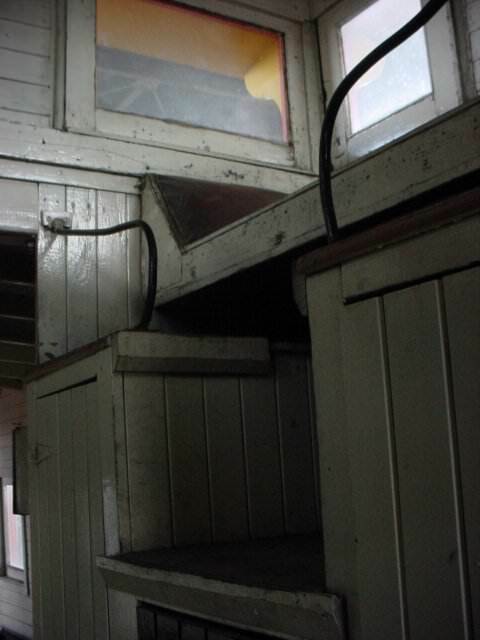 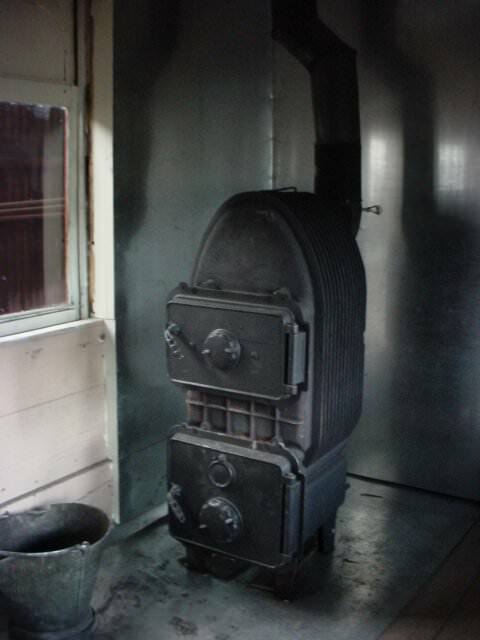 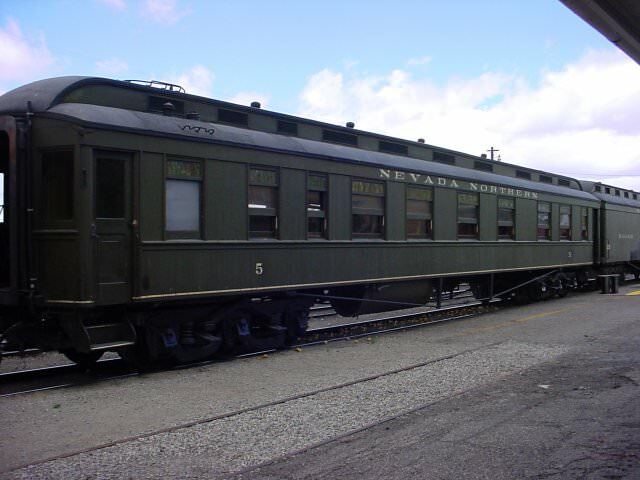 …and this passenger car was deluxe, because it had its own stove. 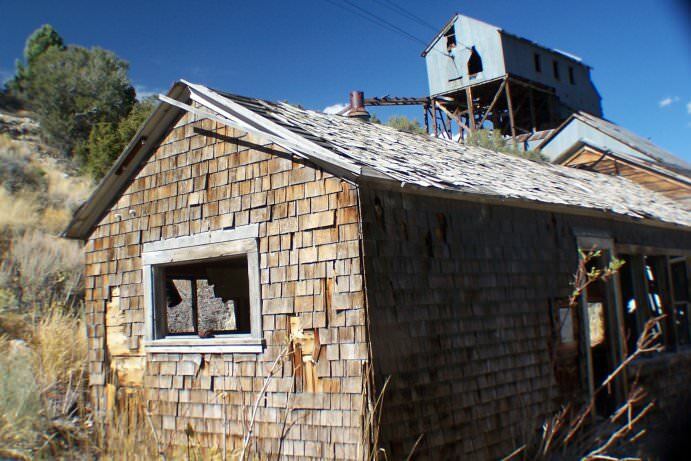 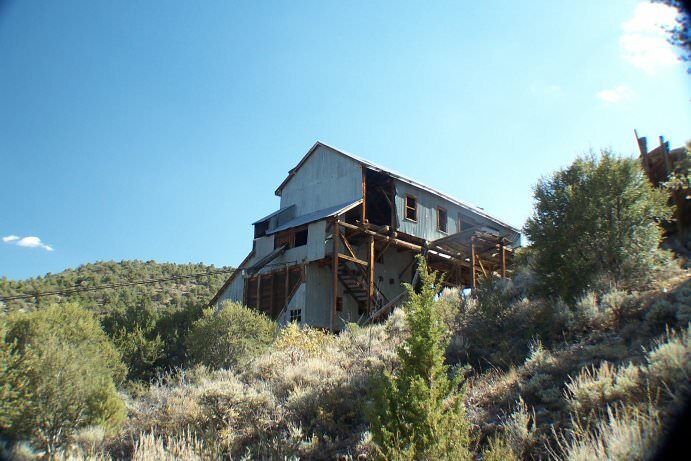 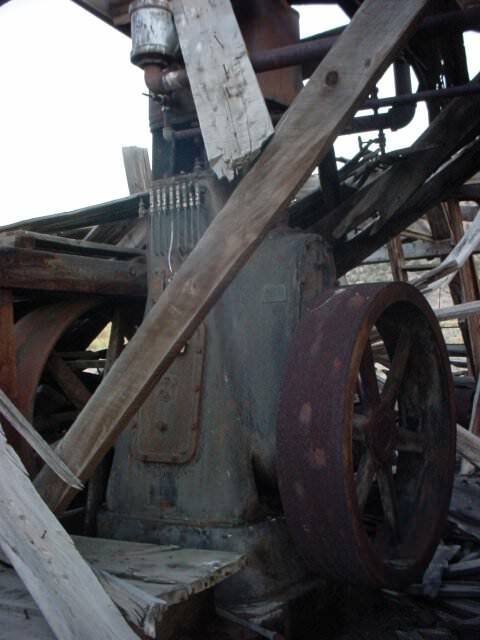 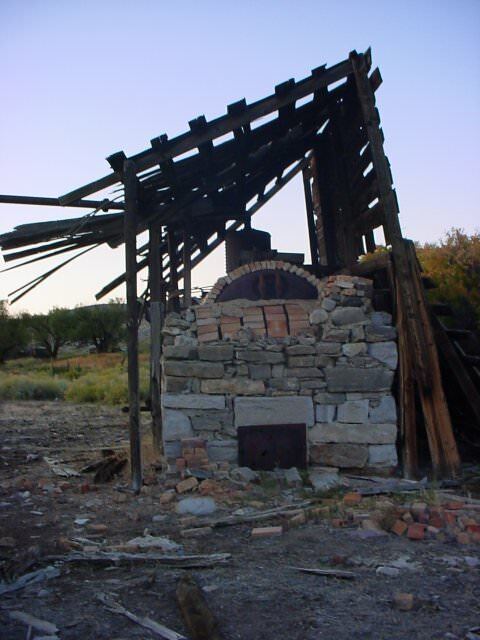 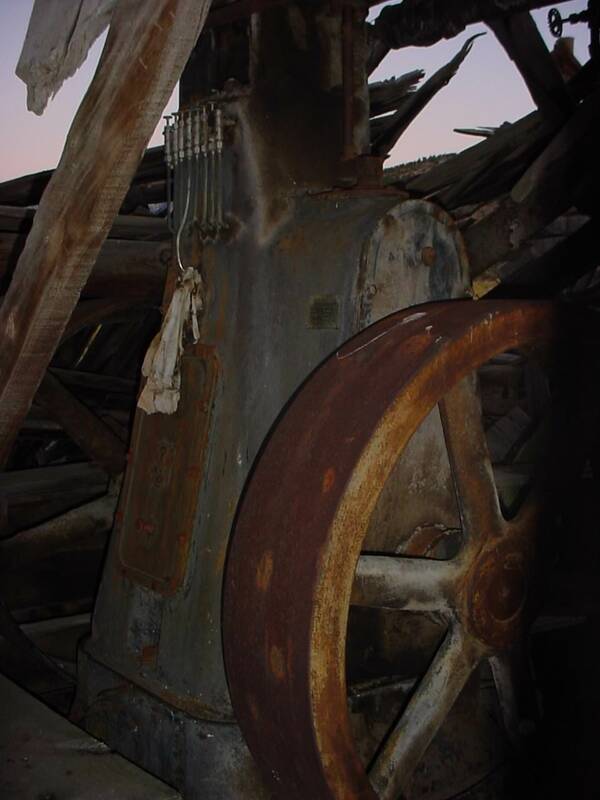 I don’t remember the formal name of this place, but here are some photos of a steam-powered sawmill near the Duck Creek in Nevada. 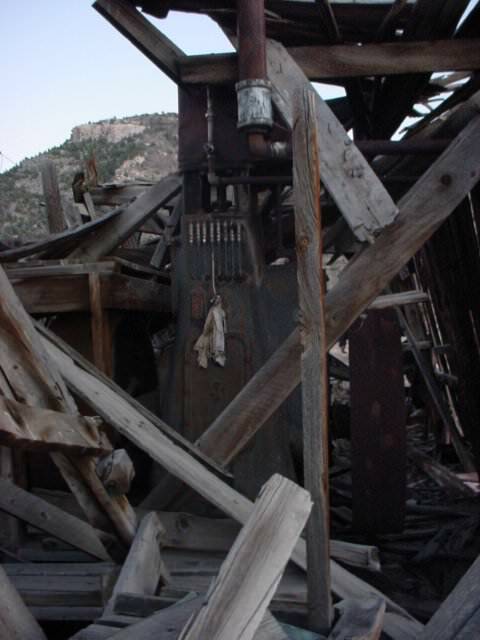 Near the sawmill was the boiler that was used for power. 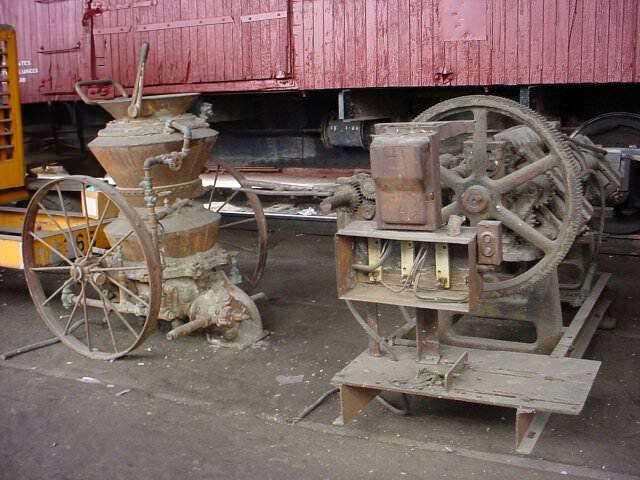 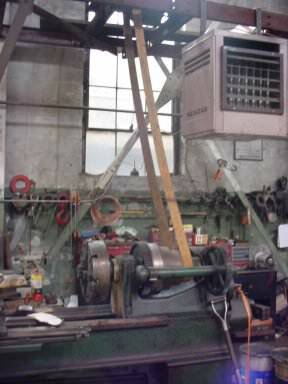 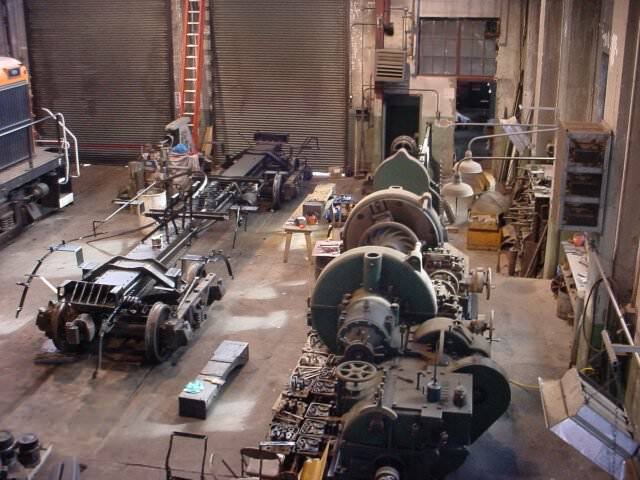 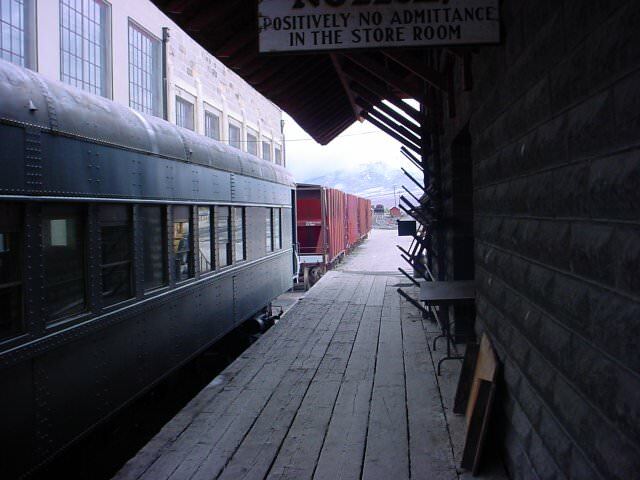 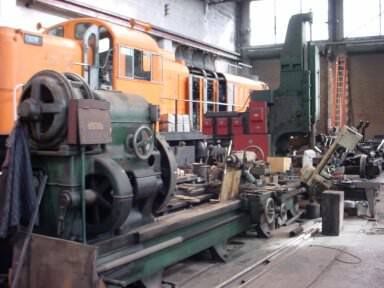 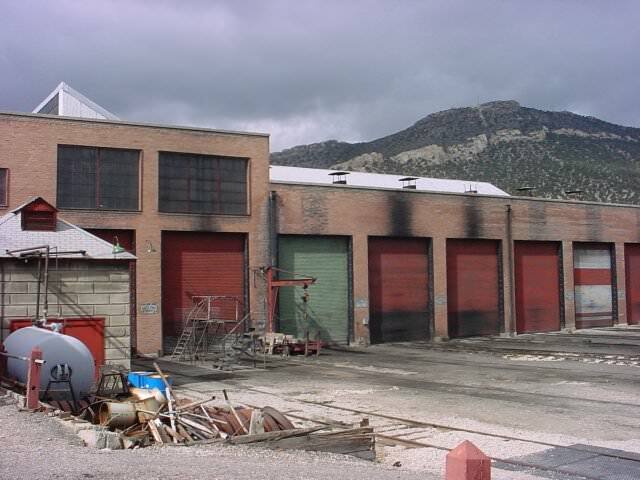 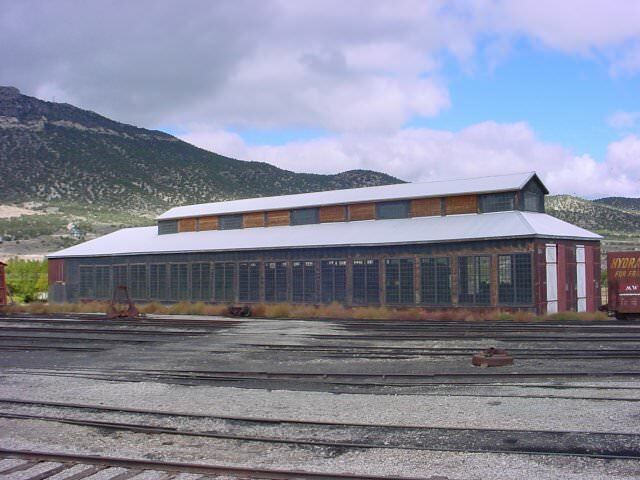 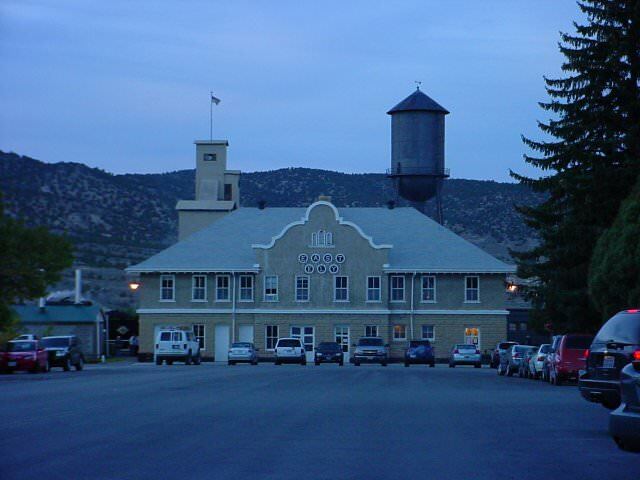 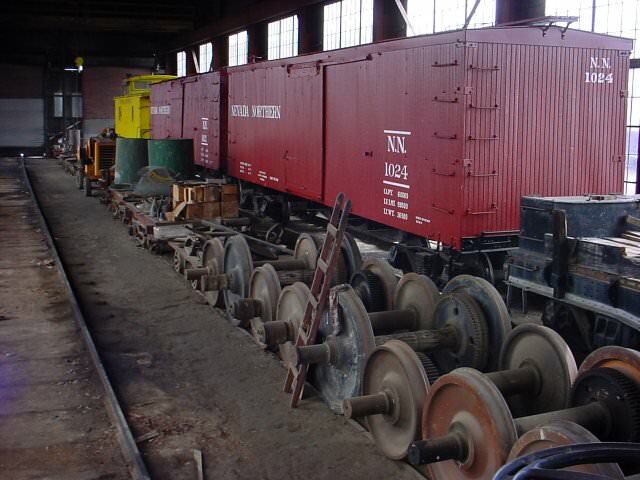 Part of the SIA Fall Tour 2007 included a tour of the Nevada Northern Railway Locomotive shop and Repair In Place (RIP) shop. 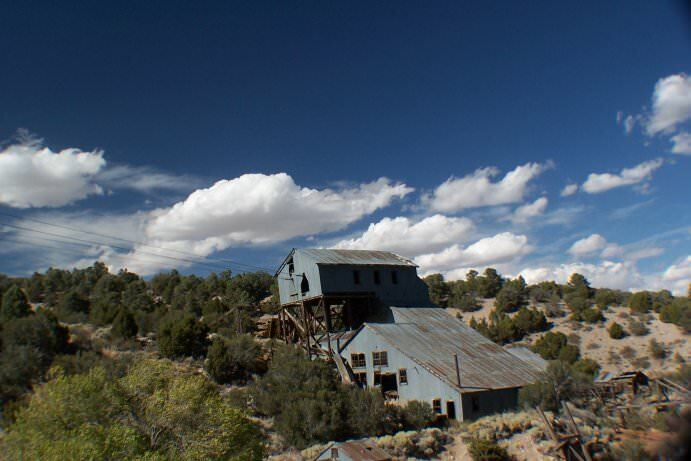 These shops are real treasures! 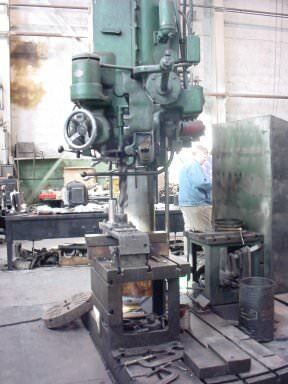 Also, there were all sorts of milling equipment, all in working order. 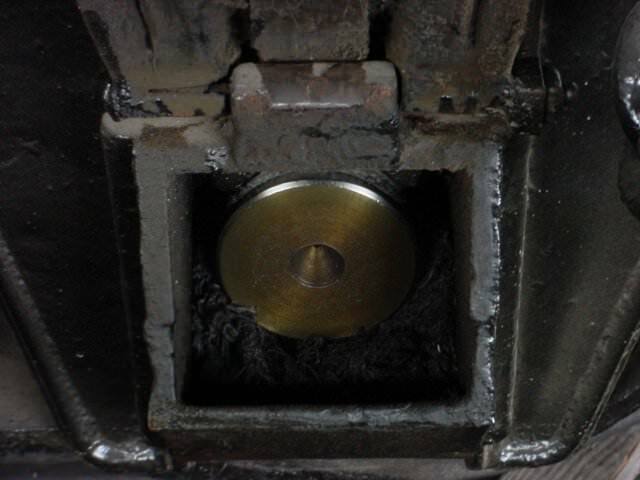 Look at the size of the end mill and the bits it used! 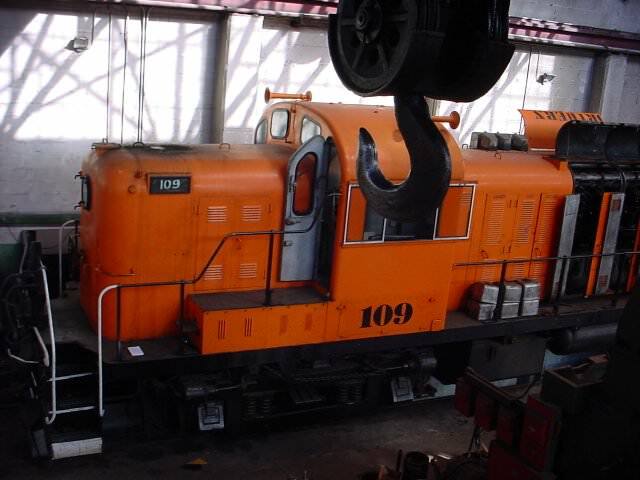 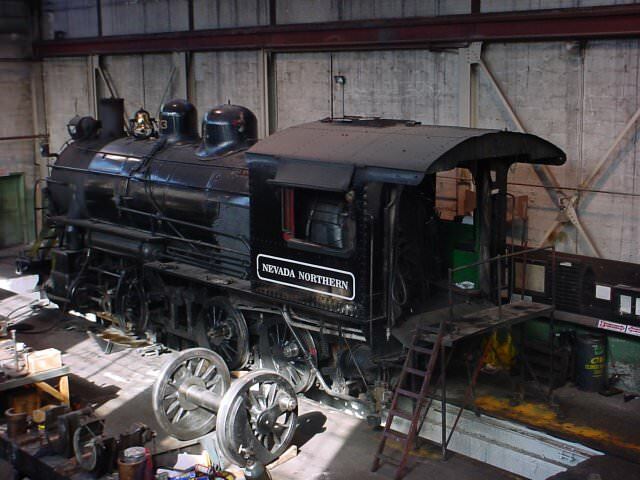 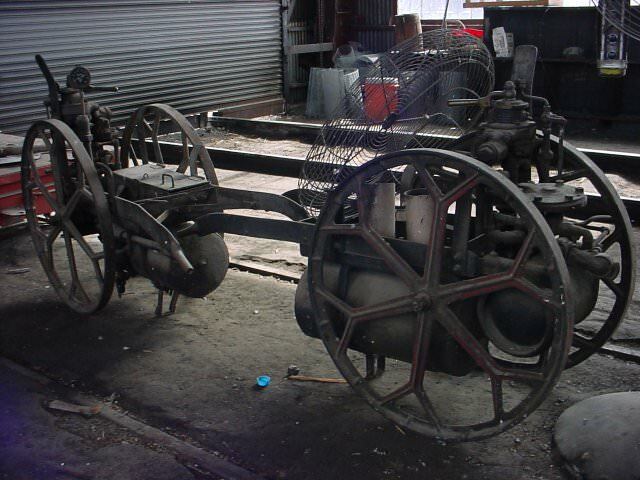 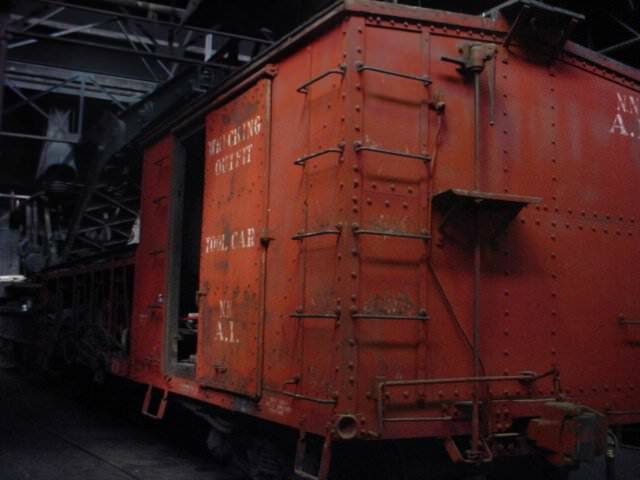 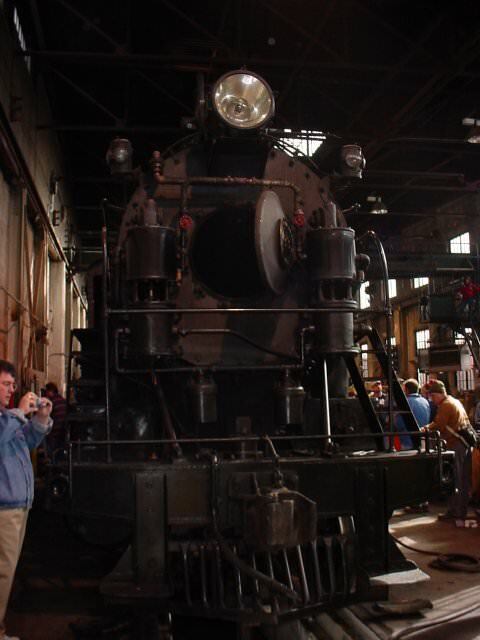 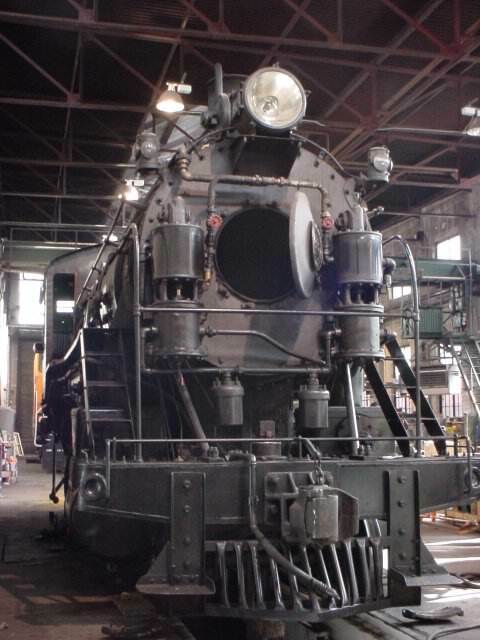 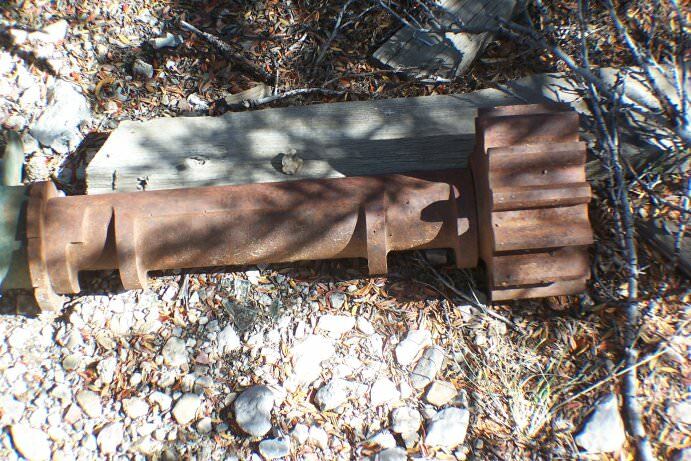 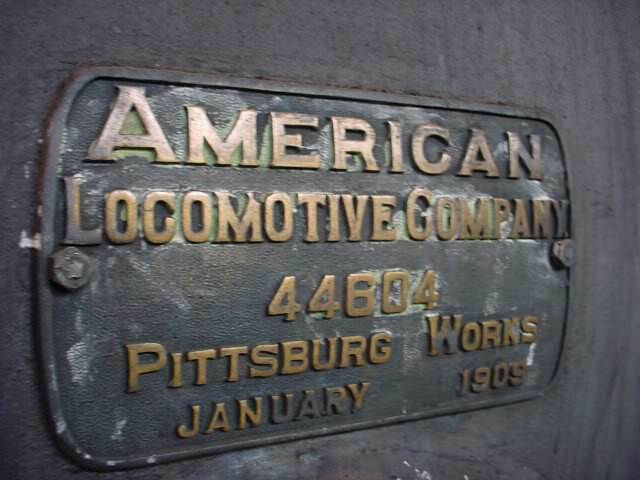 The Nevada Northern Railway was repairing and restoring Locomotive #93, which was disassembled in the shop. 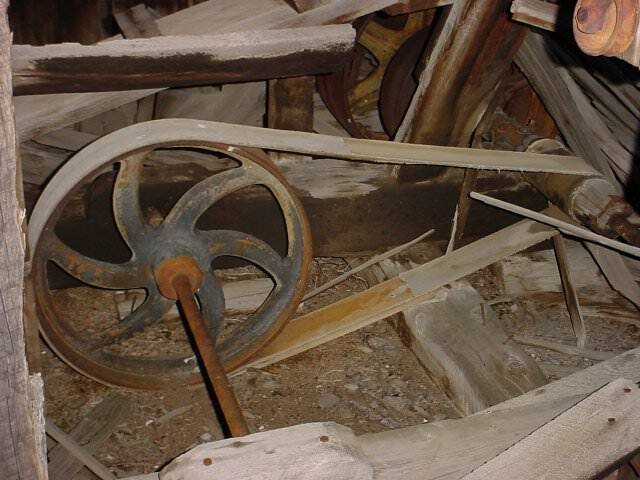 We went and saw the remains of the Belmont Mill. 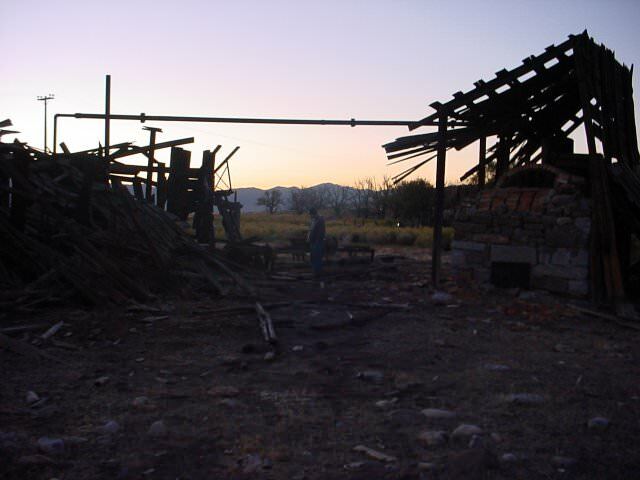 On site, there was some sort of support building. 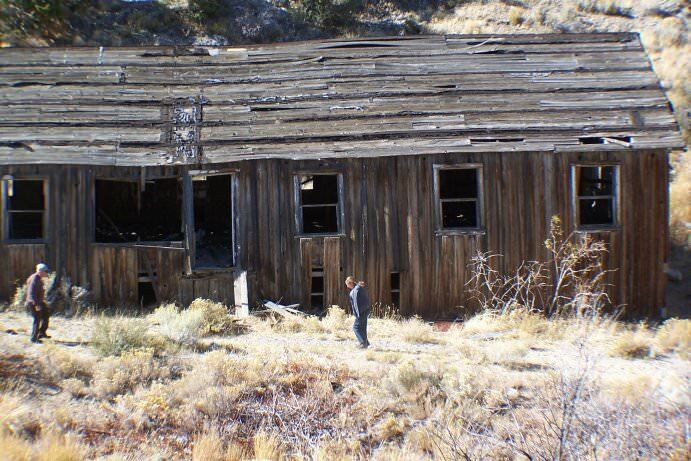 Nobody knows what this building used to be. 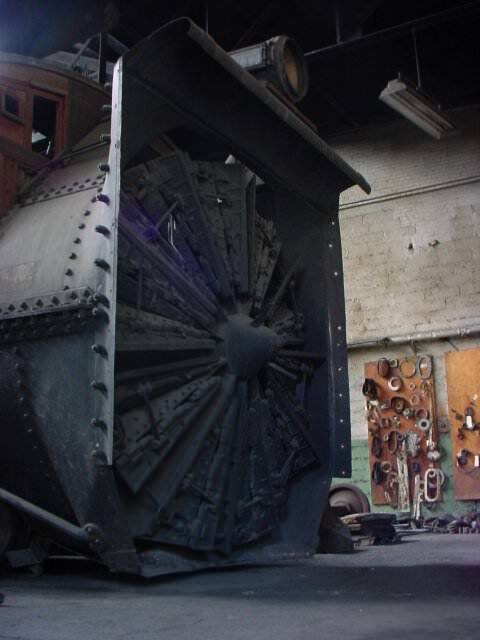 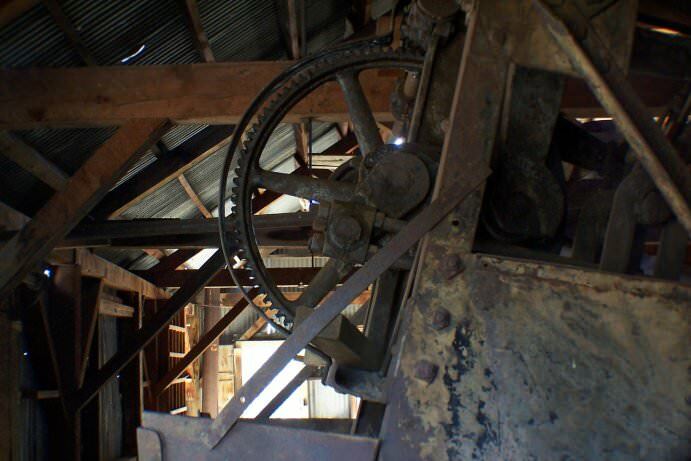 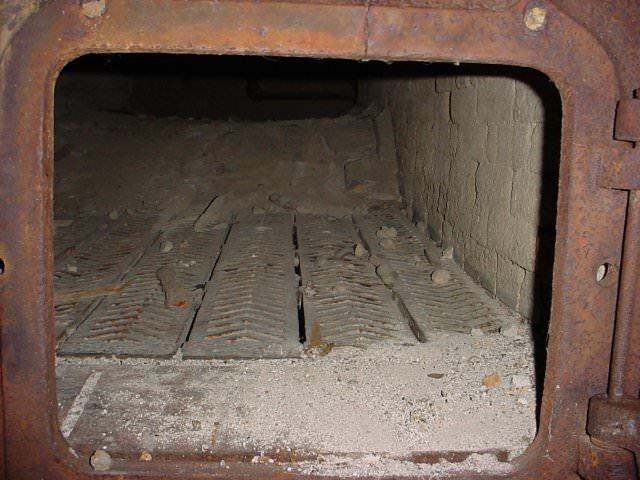 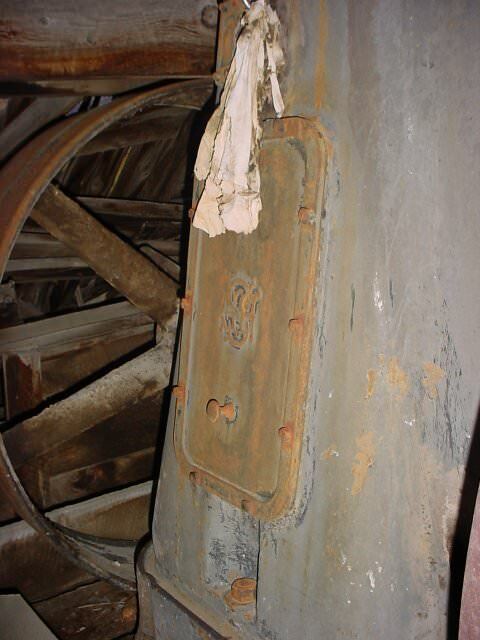 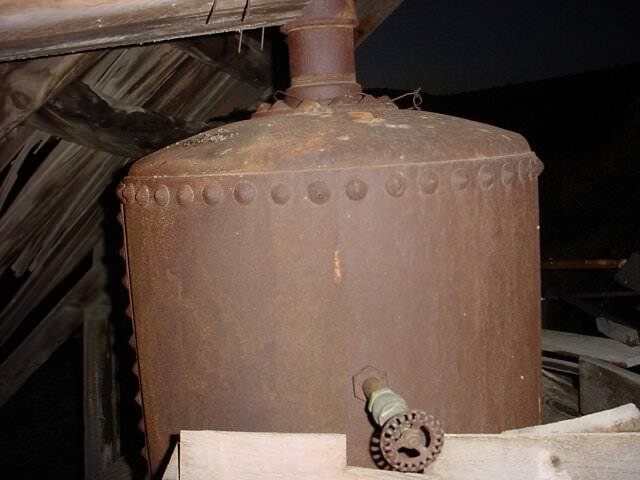 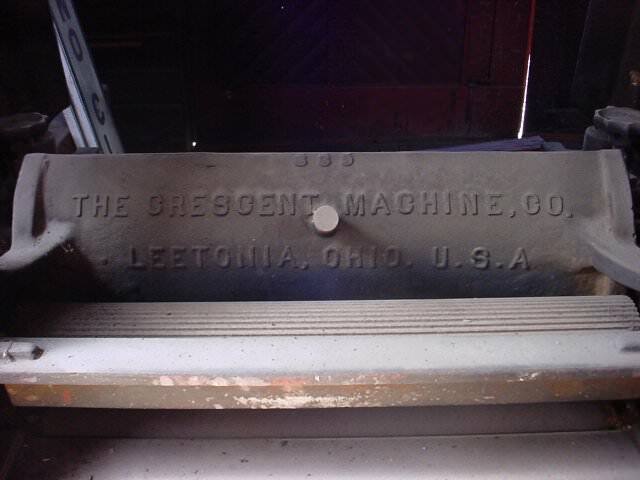 Inside the mill, however, was a steam-driven wheel that controlled and powered some of the processing. 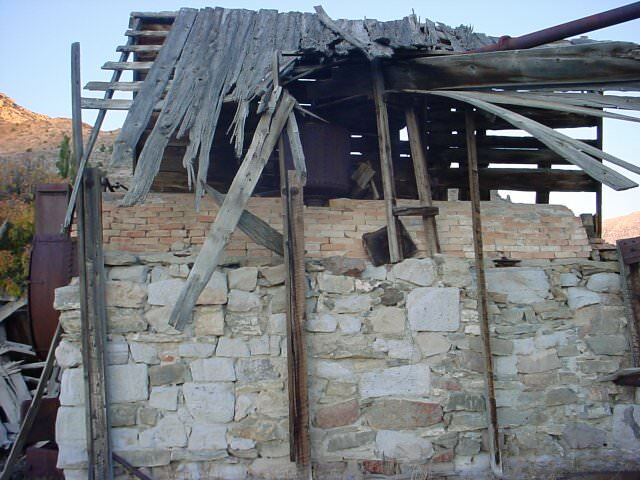 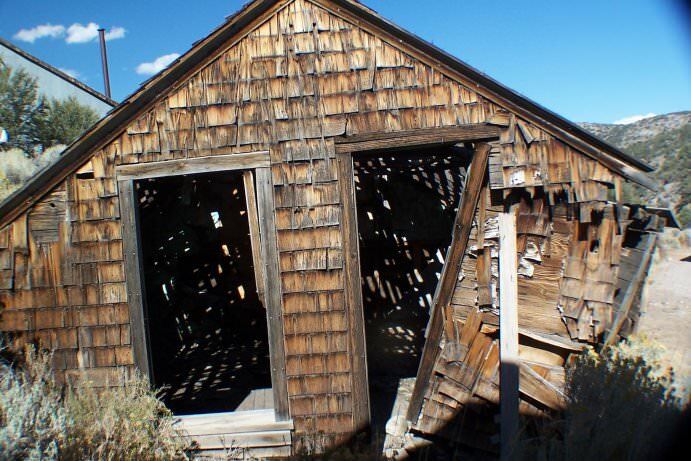 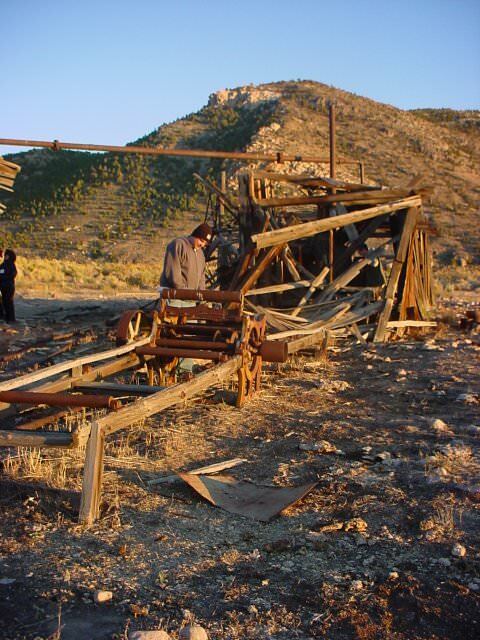 On the SIA Fall Tour of 2007, we toured what was left of Hamilton City, NV. 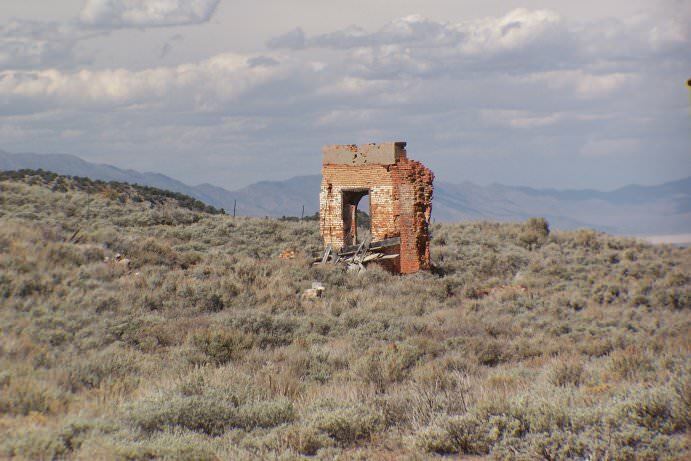 There wasn’t much left, but there were some building remnants scattered around town. 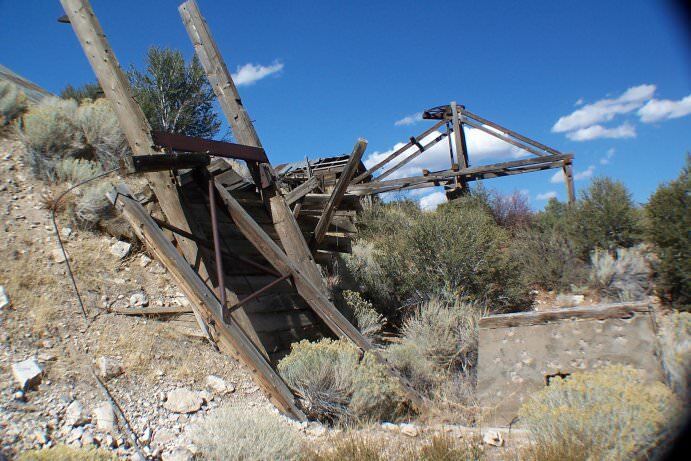 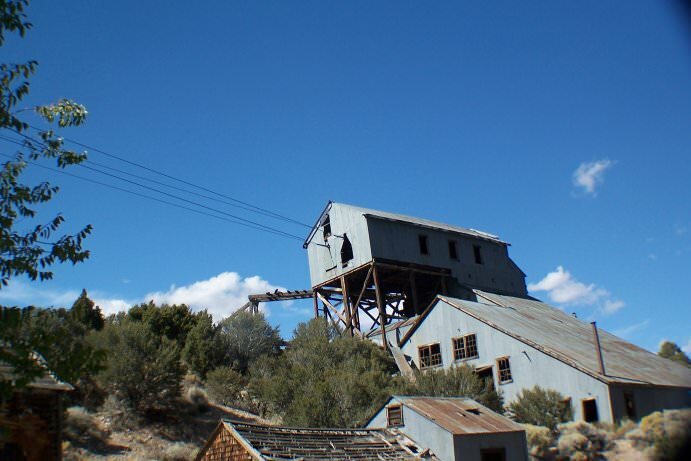 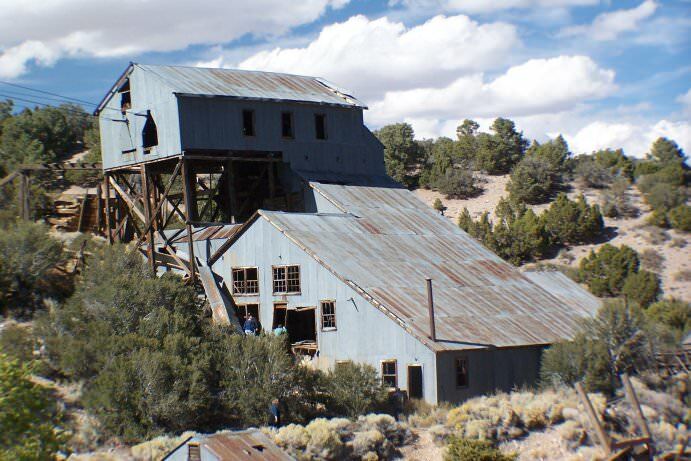 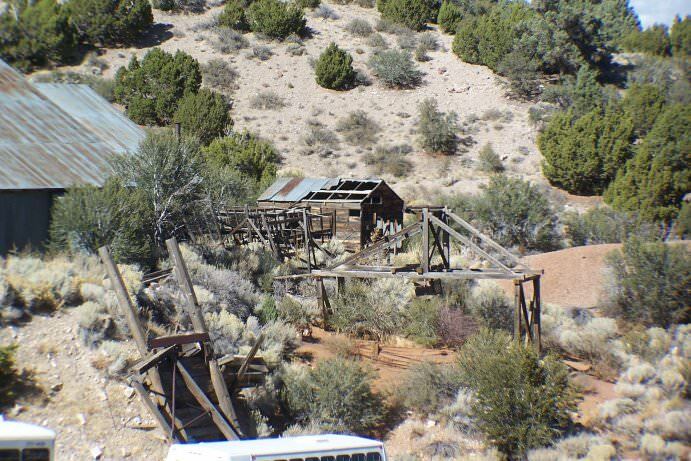 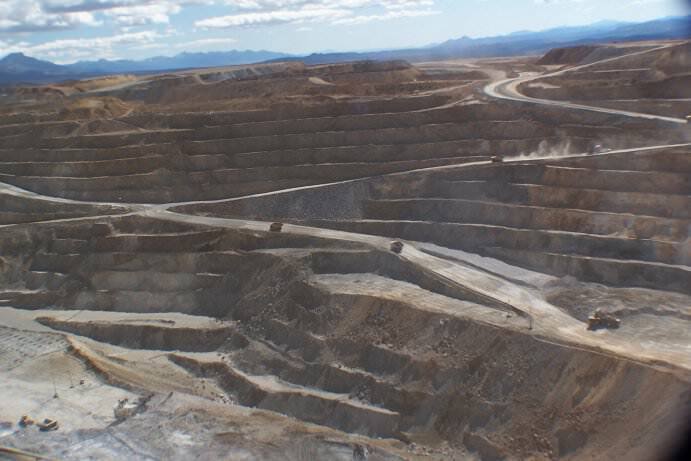 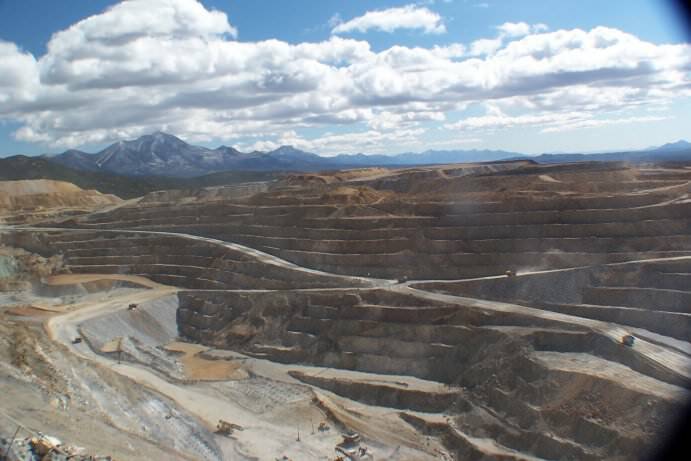 The Robinson Mine is an open-pit copper mine in northwestern Nevada. 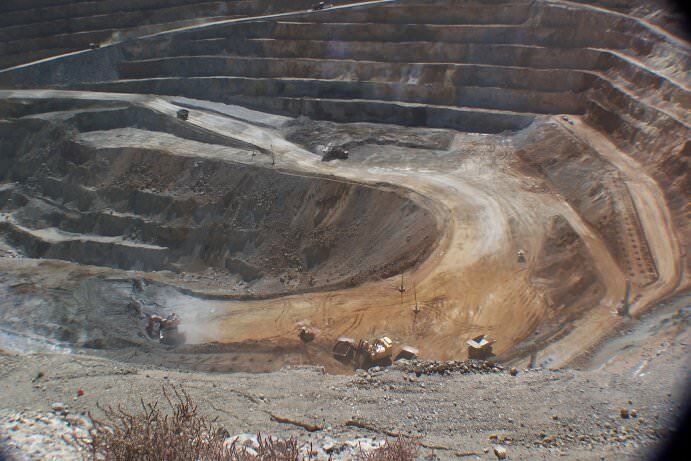 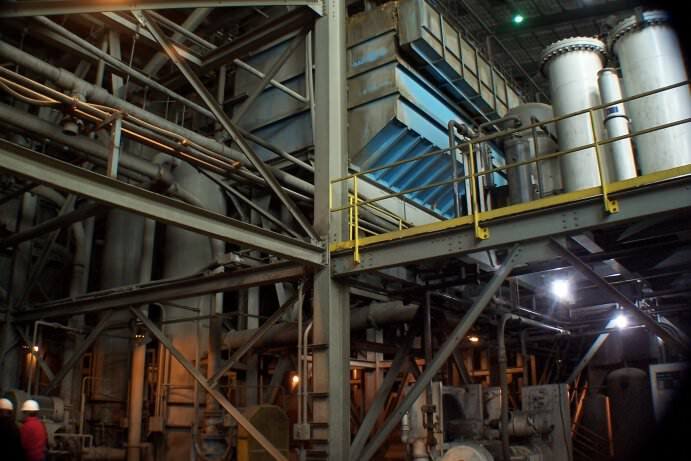 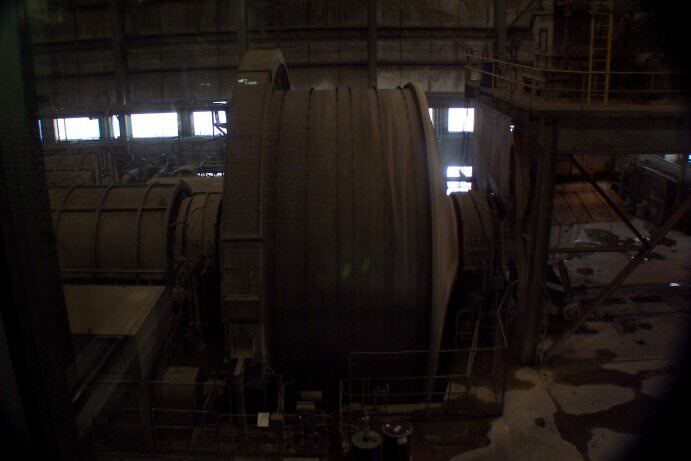 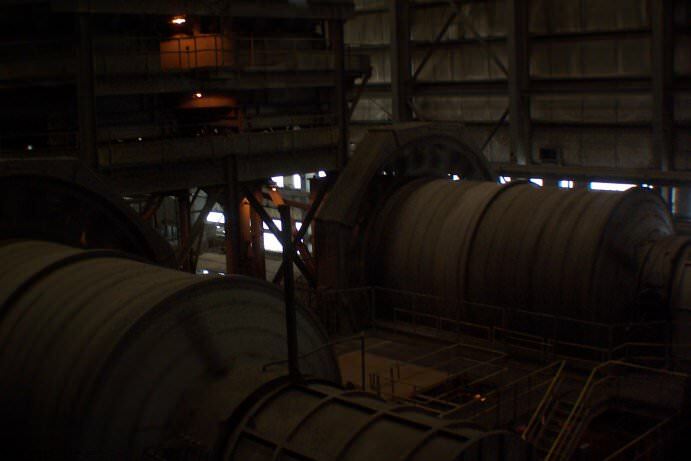 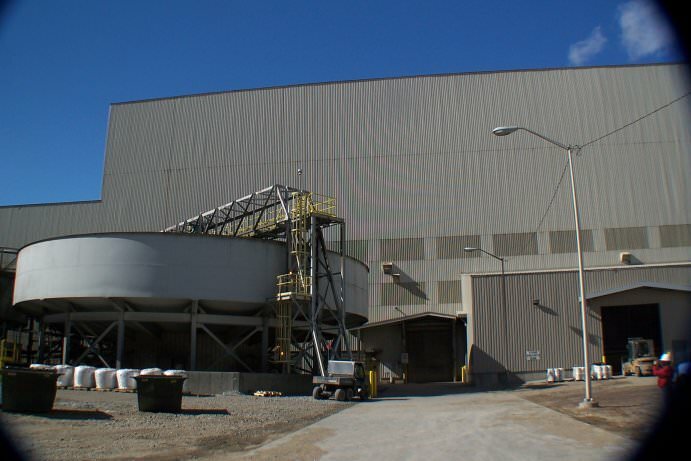 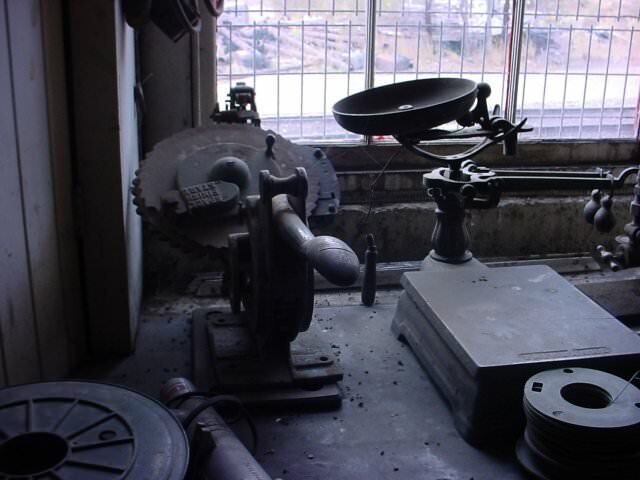 As part of the SIA Fall Tour (2007), we were allowed to go into one of the processing facilities, as well as overview the mine from an observation deck. 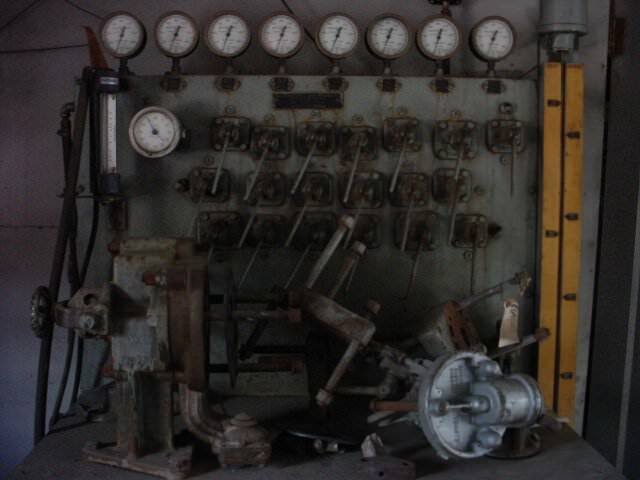 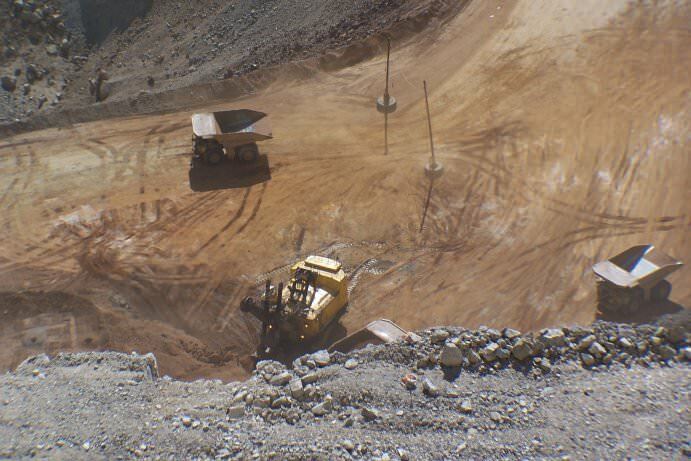 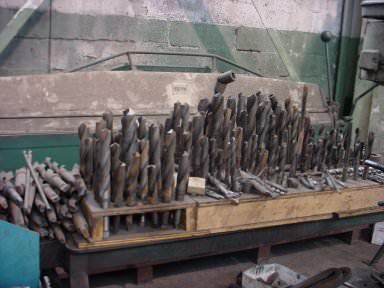 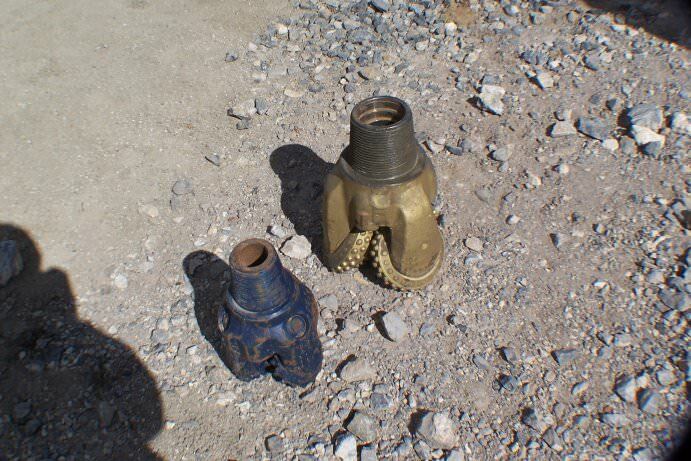 Here are several of the drill bits used in this mine for drilling holes for blasting. 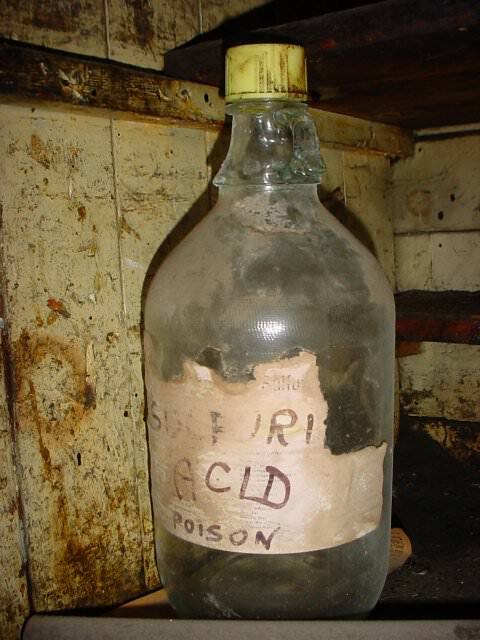 No thanks, I’m not thirsty.